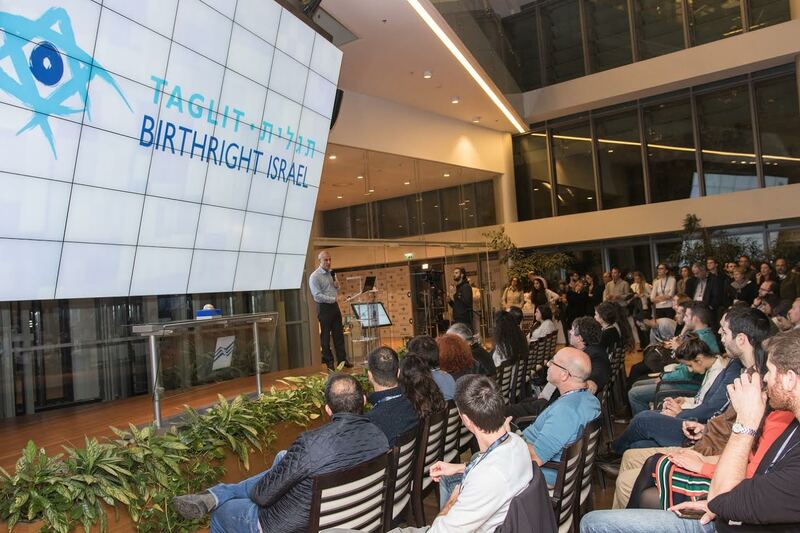 Nearly 200 business leaders, entrepreneurs, philanthropists and other supporters, gathered last night in a celebration of the Birthright Israel Innovation Center, which was established in partnership with the Tel Aviv Stock Exchange (TASE). 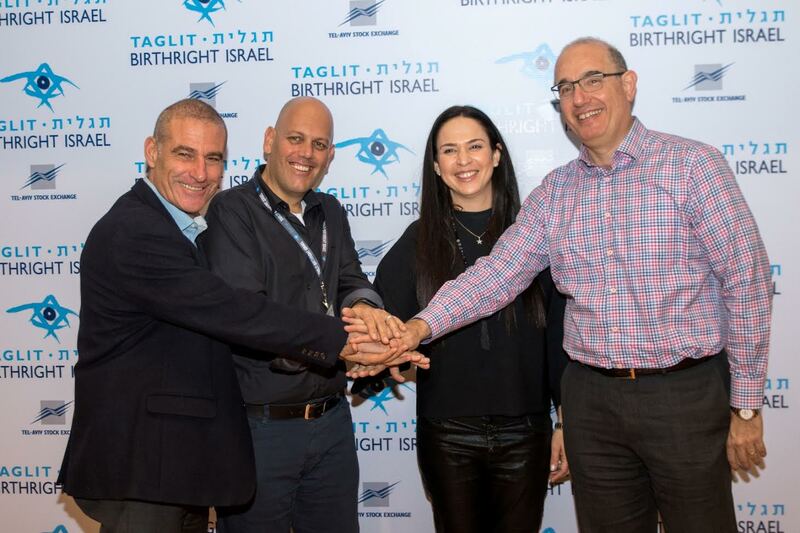 Following a successful summer season, where over 13,000 young Birthright Israel participants and dozens of delegations from Israel and around the world visited the Innovation Center, the opening of the Center to nearly 15,000 future young Birthright Israel participants and distinguished guests was declared. Gidi Mark, CEO of Birthright Israel, Yoram Tietz- Birthright Israel Excel Chairman and Managing partner of EY Israel, Yifat Oron, CEO of LeumiTech, Simon Litsyn, Engineering Fellow of Sandisk, Igal Bareket, VP of Marketing at Tel Aviv Stock Exchange, Gil Dvora, Entrepreneur, Tova Dorfman Executive Director of the Steinhardt family Foundation & David Gappell, Director of the Schusterman Foundation- Israel, were among those who attended the event. The Innovation center offers visitors a presentation of Israel's greatest achievements in various fields, related to entrepreneurship, innovation and technology. An interactive exhibition displaying various fields characterizing the contribution of Israel, such as agriculture, medicine, and cyber security, science, transportation, aerospace and more is also on display in addition to lectures by various Israeli entrepreneurs who share their personal success stories. The Center operates in a multilingual format, with a program in French, English, Spanish, Russian, Chinese, and Hebrew. Group and public tours will be open to the public by appointment. Gidi Mark, Birthright Israel CEO said at the event that "Birthright Israel is the Start Up of the Nation" in front of dozens of Hi-Tech executives. 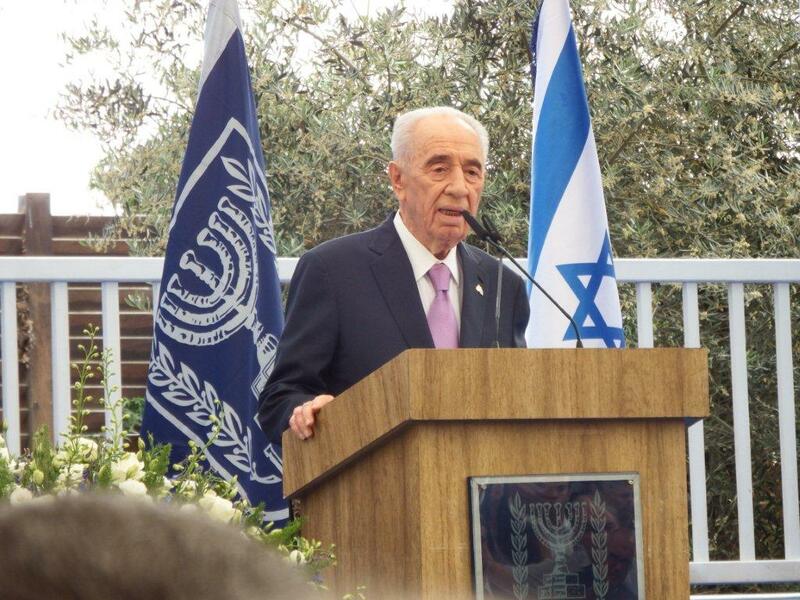 "Birthright is the greatest Start Up that was established by the State of Israel and the Jewish people, both in terms of quality and quantity. Before Birthright Israel was founded, 17 years ago, 2000 students arrived to Israel each year and through Birthright Israel, nowadays, tens of thousands of young Jews from around the world visit Israel annually. Israel is a platform for new beginnings and we are proud to give our participants the opportunity to experience Israel and the Start Up Nation for themselves." In 2017, the Center is expected to host over 45,000 visitors who will help spread the word about Israel and the global impact it has had as the Start Up Nation. Since its inception in 1999, over 500,000 young Jewish adults from over 66 countries have enjoyed their free gift of a free 10-day educational tour of Israel. Over 80,000 young Israeli soldiers and students have joined various groups on their tours. 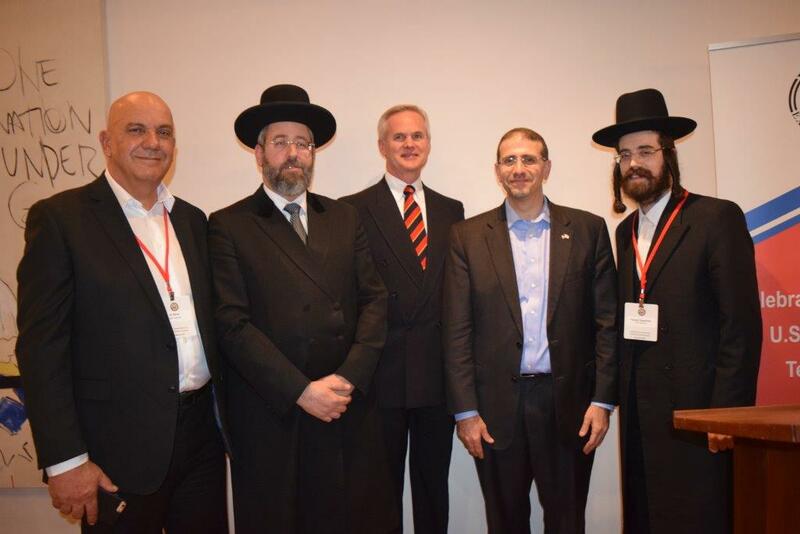 Over the years, several studies have been conducted by Brandies University, located in the USA, demonstrating the lasting effect on Diaspora Jews when focusing on their Jewish identity and their connection to Israel. 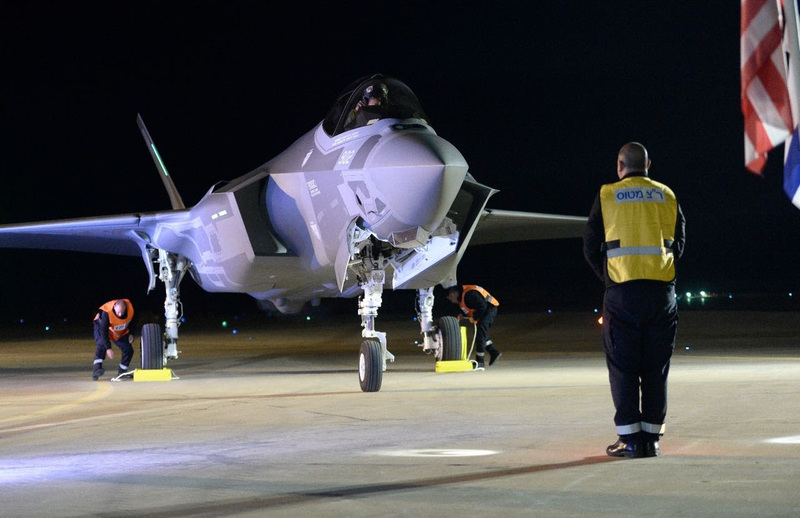 Today, December 12, 2016, the first two Adir (F-35) aircraft landed at Nevatim Airbase. IDF Chief of Staff, Lieutenant General Gadi Eizenkot, Israel Air Force Commander, Major General Amir Eshel, and senior Israel Air Force officials. The Adir is the world’s most advanced stealth aircraft with breakthrough operational capabilities which make it an offensive and defensive asset across multiple platforms and fronts. The incorporation of the Adir into the Israel Air Force is a central component of the long arm operational capabilities of the IDF, enabling action with flexibility in any scenario in order to ensure the continued safety and security of the State of Israel. to be carried out in the foreseeable future." Now Available in Israel: American Beef! For the first time in over 20 years, American kosher beef is available for Israeli consumers. The first shipment of American kosher beef has finally arrived in Israel and will be available for commercial distribution to restaurants, hotels, stores and supermarkets. The beef, select cuts of chilled Black Angus, arrived in Israel last week from the state of Nebraska. The renewal of importation was allowed after an agreement was signed in February 2016 between the U.S. Department of Agriculture and the Israeli Veterinary Services. The authorized duty-free quota of chilled U.S. beef for 2016 is 1,424 tons. The cuts will come from Black Angus beef. Currently, cuts that will be imported from the United States will not include the hindquarters. At the moment, all beef imported to Israel from the United States originates from the WR Reserve Black Angus Company slaughterhouse in Hastings, Nebraska. 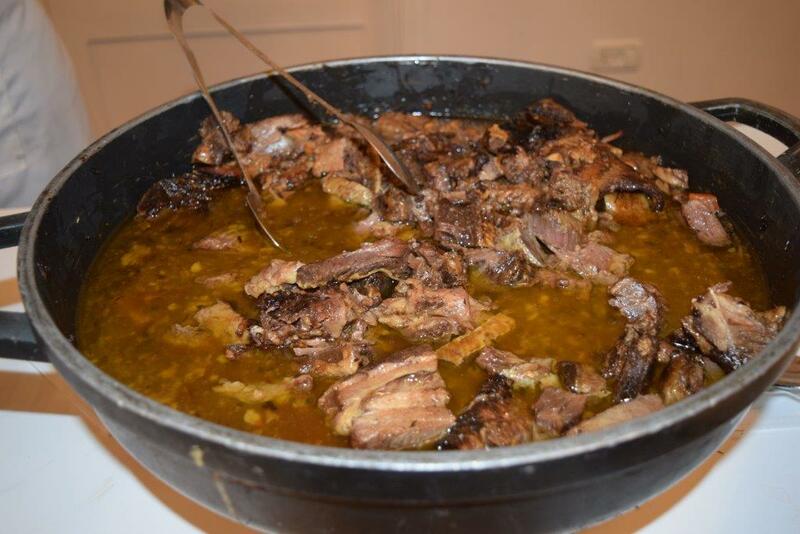 The slaughter is conducted under strict Kashrut rules and has received Kashrut certification from the Chief Rabbinate of Israel. Why U.S. Beef and What Makes Nebraska Beef So Special? The U.S. is the world’s largest beef producer, accounting for nearly one-fifth of global beef production. Commercial beef production was 10.75 million metric tons (23.8 billion pounds), with slaughter at 28.8 million head in 2015. On January 1, 2016, the total cattle inventory in the U.S. was 92 million head, up 3%from 2015. Commercial beef production is expected to be 11.36 million metric tons in 2016, up 5.7% from 2016 (25.1 billion pounds). Beef production is expected to continue to expand in 2017. In addition to being the largest producer, the United States is the largest beef consumer, with 20% of global beef consumption in 2015, and it is also a top beef importer. The United States is one of the four largest beef exporters along with Brazil, India, and Australia. Top U.S. beef export markets include Japan, Mexico, Korea, Canada, Hong Kong, and Egypt. In 2015, U.S. beef and variety meat exports totaled 1.1 million metric tons (2.35 billion pounds) valued at $6.3 billion. 13% of U.S. beef and variety meat production was exported in 2015. The U.S. was the second largest exporter on a value basis in 2015, and U.S. beef accounted for nearly one-fifth of global export value. Through September 2016, U.S. beef and variety meat exports totaled 848,930 metric tons (1.87 billion pounds), up 8% from 2015. U.S. beef and variety meat export value was $4.5 billion, down 5 percent from 2015. In 2012, there were over 913,000 cattle and calf operations in the U.S., with the average herd size at 98 head, according to the 2012 Agricultural Census. In 2012, there were over 26,500 feedlot operations with an average herd size of 541 head. Beef is Nebraska’s single largest industry and the engine that powers the state’s economy. Agriculture is the #1 industry in Nebraska and cattle production represents the largest segment of the industry. The importance of cattle feeding to Nebraska’s economy runs deeper than in other states. Nearly 5 million head are finished and marketed in Nebraska, a state with a population of 1.8 million residents. Texas markets a third more cattle than Nebraska, but it has a population of 25.6 million residents--over 14 times larger. January 2012 figures show Nebraska continues to have far more cattle than people. Cattle outnumber Nebraskans nearly 4 to 1. Nebraska has 1.94 million cows and 1.8 million people. The cows and the 4.7 million head that are annually fed in Nebraska total nearly 6.64 million cattle. Nebraska has the top three cow counties in the U.S., including the nation’s No. 1 cow county – Cherry County, with nearly 166,000 cows. Custer County is No. 2 (100,000). Holt County is No. 3 (99,000). Lincoln County is No. 12 (69,000). Nebraska has a unique mix of natural resources. Cattle turn grass from 24 million acres of rangeland and pasture, more than one half of Nebraska’s land mass, into protein and many other products for humans. The land grazed by cattle allows more people to be fed than would otherwise be possible. More than one billion bushels of corn are produced each year, 40% of which is fed to livestock in the state. Cattle-producing families, who make their living from the land, have a strong incentive to protect their animals and the environment. Nebraska’s farms and ranches utilize more than 184 million dunams (18,413,270 hectares)– 93% of the state’s total land area. As a comparison, in Israel there are less than 4 million dunams used for agriculture. Nebraska is fortunate to have aquifers below it. The state has 92,233 registered, active irrigation wells supplying water to 34 million dunams of harvested cropland and pasture. Nearly 24,000 miles (38,624 kilometers) of rivers and streams add to Nebraska’s natural resources. There are nearly (9,307,807 hectares) 93 million dunams of rangeland and pastureland in Nebraska. Superior animal husbandry is the rule and one of the secrets to raising great beef. Ill-treated animals could never achieve the quality levels that Nebraska’s customers demand. Nebraska’s approved and inspected small family growers always treat their animals in a kind and humane manner; nothing could be more important to a responsible rancher. This combination of feeding methods gives Nebraska the best quality beef possible and assures sustainability. Nebraska cuts all high-grade meats by hand and in-house and sells fresh or frozen –never uses gas packaging, preservatives or color stabilizers to extend the life or improve the look. Due to its qualities and demand U.S beef is exported to more than 130 countries around the world. 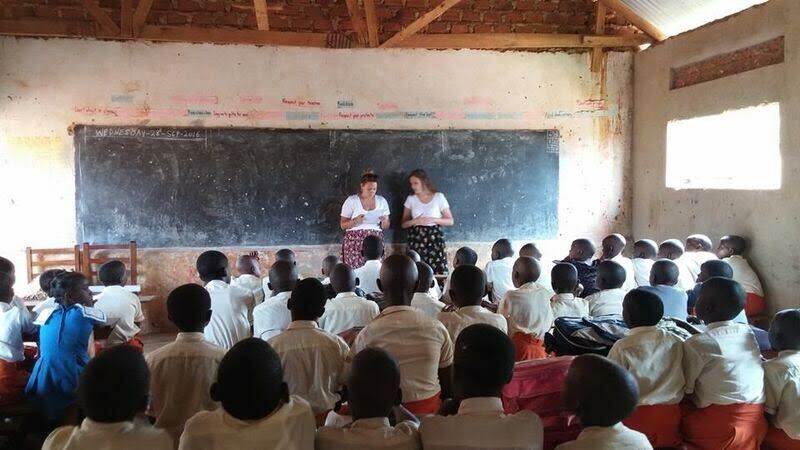 JERUSALEM, ISRAEL – The Jewish Agency for Israel’s Project TEN—known as the “Jewish Peace Corps”—is partnering with a coalition of organizations to join a new volunteer center in Namulanda, Uganda. The center will be run in partnership with Brit, a coalition of organizations that include the Israel Volunteer Association, Inspiration Arts for Humanity, and Brit Olam, who have been operating in Uganda for the past ten years. The center will bring together Jewish young people from Israel and around the world to engage in volunteer work with distressed populations in the area. This is Project TEN’s third volunteer center in Africa, joining the existing center in Winneba, Ghana and another new center in Durban, South Africa. Project TEN centers also currently exist in Oaxaca, Mexico and Harduf, Israel. The Israeli center works primarily with Bedouin communities and with groups with special needs. Additional Project TEN centers are expected to be opened in Latin America and East Asia in the near future. 1. The United States delegation led by the President of the United States Barak Obama, accompanied by Former President Bill Clinton, Secretary of State John Kerry, and National Security Advisor Susan Rice. 2. The European Council delegation led by the President of the European Council Donald Tusk. 3. The European Union delegation led by the High Representative of the European Union for Foreign Affairs and Security Policy Federica Mogherini and Vice-President of the European Parliament David Sassoli. 4. The UNESCO delegation led by the Director-General of UNESCO Irina Georgieva Bokova. 5. The United Kingdom delegation led by Prince Charles, accompanied by Former Prime Ministers Tony Blair and David Cameron, and Foreign Minister Boris Johnson. 6. The French delegation led by the President of France Francois Hollande, accompanied by Former President Nicolas Sarkozy and Mayor of Paris Anne Hidalgo. 7. The German delegation led by the President of Germany Joachim Gauck accompanied by Minister of Foreign Affairs Frank-Walter Steinmeier. 8. The Canadian delegation led by the Prime Minister of Canada Justin Trudeau, accompanied by Foreign Minister Stéphane Dion, Former Prime Minister Stephen Harper, and a host of additional Former Prime Ministers. 9. The Mexican delegation headed by the President of Mexico Enrique Peña Nieto accompanied by Secretary of Foreign Affairs Claudia Ruiz Massieu. 10. The Dutch delegation led by the Prime Minister of the Netherlands Mark Rutte. 11. The Spanish delegation headed by the King of Spain Felipe VI accompanied by Minister of Foreign Affairs José García-Margallo. 12. The Italian delegation led by the Prime Minister of Italy Matteo Renzi. 13. The Greek delegation led by the Former Prime Minister of Greece George Papandreou and the President of Greece Prokopis Pavlopoulos. 14. The Polish delegation led by the President of Poland Andrzej Duda. 15. The Swiss delegation led by the President of the Swiss Confederation Johann Schneider-Ammann. 16. The Austrian delegation led by the President of the National Council of Austria Doris Bures, accompanied by Minister of Foreign Affairs Sebastian Kurz and Former President Heinz Fischer. 17. The Finnish delegation led by the Prime Minister of Finland Juha Sipilä. 18. The Swedish delegation led by the Prime Minister of Sweden Stephen Levin. 19. The Ukrainian delegation headed by the President of Ukraine Petro Poroshenko. 20. The Latvian delegation headed by the President of Latvia Raimonds Vējonis. 21. The Lithuanian delegation headed by the President of Lithuania Dalia Grybauskaitė. 22. The Luxembourg delegation headed by the Grand Duke of Luxembourg Henri de Luxembourg. 23. The delegation from the Vatican led by Archbishop Antonio Franco. 24. The Côte d’Ivoire delegation headed by the President of Côte d’Ivoire Alassane Ouattara, accompanied by Foreign Minister and Finance Minister. 25. The Togolese delegation headed by the President of Togo Faure Gnasingbh. 26. The Portuguese delegation headed by the Minister of Foreign Affairs of Portugal Augusto Santos Silva. 27. The Brazilian delegation headed by the Foreign Minister of Brazil Jose Seria. 28. The Turkish delegation headed by the Deputy Foreign Minister of Turkey Ahmet Yıldız. 29. The Chinese delegation headed by the Minister of Science and Technology Wan Gang, accompanied by ten representatives of the People's Republic of China. 30. The Singaporean delegation led by the Deputy Prime Minister of Singapore Tharman Shanmugaratnam and Minister of Defense ‎Ng Eng Hen. 31. The Indian delegation led by the Minister of Science and Technology of India Harsh Vardhan. 32. The Australian delegation led by the Governor-General of Australia Peter Cosgrove and including the Secretary of Defense.